A series exploring the natural history of Earth, beginning with the formation of our Solar System, moving on through asteroid impacts and mass extinctions, and ending with the human impact on the environment. The relatively calm region of space we occupy in the Solar System today belies a fiery, violent past, and a spine-chilling future. This series explores the geological and natural history of Earth, beginning with the formation of our Solar System, moving on through asteroid impacts and mass extinctions, and ending with the human impact on the environment today. To really grasp the magnitude of the changes our planet has undergone, we need to speed through immense timescales, pausing at important milestones. Until now: Life formed rather quickly on Earth, barely 500 million years after our 4.56-billion-year-old planet formed. And some 2.4 billion years ago (bya), oxygen first made a large scale appearance in the atmosphere and oceans, promptly causing a mass extinction and plunging Earth into the Huronian ice age. During the Huronian ice age, caused by the saturation of the new gas oxygen in the air and waters, Earth got progressively cooler despite the Sun increasing in brightness as it aged. Oxygen in the atmosphere removed methane, a greenhouse gas that kept Earth warm. The ice age followed the Great Oxygenation Event, the first of the twenty four mass extinctions our planet has seen. Multitudes of unicellular lifeforms were wiped out, and the survivors were frozen in suspension by the creeping cold from all directions. Evidence of this ice age is present along the eponymous Lake Huron and Lake Superior, in Canada. This part of Canada is a craton, an old, stable part of Earth’s crust that has persisted to this day. This craton was a part of Kenorland, the supercontinent that existed near the equatorial regions of Earth. In fact, other Kenorland cratons, such as Michigan and Western Australia, also show evidence of large glacial deposits from this period. As our planet slowly froze, with layer upon layer of ice forming on land and sea, the supercontinent Kenorland started to break up. And in the process, volcanic activity was revived. Unlike the other supercontinent called Vaalbara, Kenorland was huge. While Vaalbara split into two cratons only, now in Africa and Australia, Kenorland was enormous: it held cratons now in Canada, the US, Scandinavia, Greenland, and the Kalahari Desert in southern Africa. When such large landmasses break apart like pieces of a biscuit, they cause extreme changes to the global climate. First off, they cause rifts and spreads on the seafloor. This causes the top part of the seafloor to heat up. Crust floats on the mantle, often losing its lower parts to the viscous molten rock. Since warm rock is much less dense, it rises up in the mantle, increasing the height of the continents. An increase in height signifies higher altitudes, where the air is colder. Additionally, the heating in the oceans caused increased evaporation, which then increased global rainfall. This further cooled the planet. As the planet became more and more white, its reflectivity increased. All the sunlight was reflected off, further preventing any retention of heat. Such events that keep feeding the increasing cold are called positive feedback loops. The Huronian ice age saw glaciers and ice covering parts of the land and ocean almost up to the equator. This was the longest ice age in history, spanning nearly 300 million years, from 2.4 bya to 2.1 bya. A prominent cause for the persistence of this ice age seems to have been a lull in volcanic activity, which further reduced carbon dioxide and methane in the atmosphere, some of which got trapped in the ice and oceans. Ice ages end because of a negative feedback loop. In a glaciation period, there is intense snowfall and water is trapped in the form of humongous quantities of ice over land. Thus, the sea levels drop. Precipitation drops too because there just isn’t enough water in the atmosphere anymore. Precipitation maintains the cold. Sea ice melts faster than large ice sheets on land. So once Earth could no longer become any cooler and ran out of precipitation to maintain the cold, it started to get warmer due to the Sun. Even a little melting of sea ice can cause water to start absorbing the Sun’s heat, triggering a loop that liberates carbon dioxide and causing more melting, thus very rapidly ending the glaciation. This is why all ice ages ended much faster than they began. Shortly after the end of the Huronian ice age and the breakup of Kenorland, in some part of the global oceans, one unicellular organism, most likely a bacterium, attacked another, probably an archaeon, which swallowed it and let it survive inside of it. Both these organisms required the waste product of the other to survive, and so they worked together in what is called endosymbiosis. This little cell became the first complex unicellular life with a nucleus, membranes, and the archaeon becoming the mitochondria. Such lifeforms today are known today as a eukaryote, and this particular cell is the ancestor of every living organism today. This happened approximately 2.1 bya, after nearly a whopping 2.5 billion years of elementary, primitive, downright simple unicellular life . Meanwhile, the parts of Kenorland that had broken up moved about in the seas, colliding again with newer cratons and forming a new massive supercontinent called Columbia. Columbia was even bigger than Kenorland, containing cratons that belong today to North America, Scandinavia, Australia, India and South America. In fact, the west coast of India was attached to the east coast of North America, while the west coast of Canada was attached to southern Australia. Scandinavia was attached to Brazil, and all the landmasses were tightly clumped together. After it was fully assembled 1.8 bya, Columbia started expanding in size due to volcanic rock forming at its borders, with the spilled magma starting to cool and solidify. This volcanic activity triggered more inland volcanism, and naturally started to crack the supercontinent up. Columbia started splitting up 1.4 bya, with cratons dividing into parts of India, North America, China, Africa, Scandinavia and Australia today. These cratons didn’t survive independently for long. They collided with each other and with other newly born cratons very quickly, forming the next supercontinent, Rodinia, 1.3 bya. Rodinia remained almost entirely in the southern hemisphere and is a very important part of earth’s biological history. The supercontinent saw the evolution of eukaryotes into multicellular organisms through the first appearance of sexual reproduction. It saw the formation of the ozone layer in the atmosphere; and its breakup caused yet another ice age, the most terrifying of them all. When Rodinia started to break apart, it caused sudden, gigantic rifts in the seafloor. This caused the crust to heat up, repeating the same mechanism that caused rainfall spikes during the previous ice age. This resulted in more cooling, bringing about an ice age. But this ice age, the Cryogenian ice age, was different from the Huronian. In fact, such an ice age has never been seen again in Earth’s history. Ice caps and glaciers extended all the way from the poles to the middle of equator, covering every inch of the planet, making it look like a giant snowball. Aptly, the phenomenon is known as ‘Snowball Earth’. The Cryogenian ice age was caused due to two rapid glaciation events in the ice age, separated by a very small, warm interglaciation period. This most extreme ice age on our planet lasted from 720 mya to 635 mya. 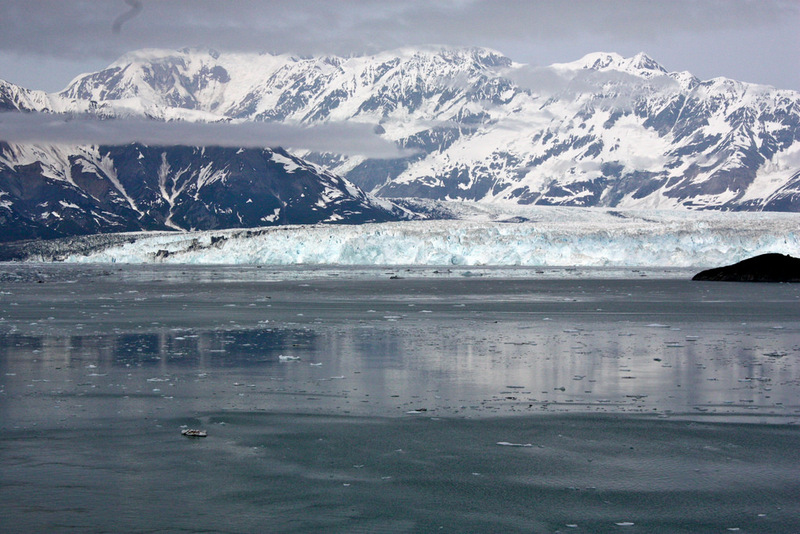 The thawing of this ice – as Rodinia separated – saw more evolution of life. Fragmentation of landmasses caused volcanism to increase in the seas, which in turn caused an influx of nutrients into the water. In the last few million years of the Precambrian supereon, the first ‘animal’ appeared: the sponge. The spreading of the ocean floor also caused a lot of shallow seas to form, with life finally making the journey from water to land. This coincided with the ultimate collapse of Rodinia and marked the transition of the geological time scale from the Precambrian supereon into the Phanerozoic eon. From this time on, the geological record on our planet becomes more detailed thanks to the abundance of fossils. The Phanerozoic eon, starting at 542 mya, literally translates to “period of well-defined life.” While the Precambrian supereon spanned three large eons and lasted over four billion years, much much more happened on Earth in the Phanerozoic eon. There was more diversity, more large-scale changes on our planet’s surface features and atmosphere, and a whopping twenty more mass extinctions. In terms of life, the biggest change on Earth came about in the early Phanerozoic, in the Cambrian period. Within 25 million years, all life on Earth had diversified inconceivably suddenly. From basic complex unicellular life, the ancestors of a lot of animals today appeared. Forams, fungi, algae, reef building organisms – all started to appear in the fossil record. Quilted fossils of bugs that crawled about on the seafloor are the most abundant. 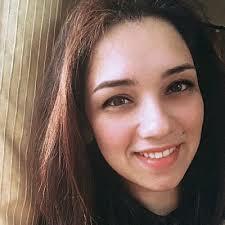 In fact, such mass diversification of complex organisms in such a short period of time without as much as a precursor was noted by Charles Darwin as a valid argument against the theory of natural selection (survival of the fittest). This spurt of diversification is termed the Cambrian Explosion. Meanwhile, life on land was struggling to survive. Planktons had already come into existence, but land was first colonised by microbial mats of cyanobacteria. Adaptation to land required the capability to grow against gravity. Lifeforms also needed to stop relying on a medium like water to transport nutrients and eggs/sperm. A lack of nutrients in the air meant it was tougher to survive. Multicellular plants on land took a very long time to evolve even as diverse fauna on oceans were multiplying rapidly and thriving. The dominant lifeforms during the Cambrian period were the trilobites, a group of extinct arthropods. They flourished for nearly 270 million years, making them the most successful of all marine animals. They survived the first two of the deadly mass extinctions and a total of eight, before finally disappearing from the earth. As these marine insects crawled about under water, the cratons overhead were once again on the move. They collided with each other and were forming yet another supercontinent called Pannotia. But this time, the building blocks of the supercontinent didn’t really stick together. Pannotia broke up less than 60 million years after it formed, causing heaving cataclysms again on the global climate and life. There were four prompt successive mass-extinction spikes within 20 million years of each other during the Cambrian, wiping out nearly 40% of all marine life and heralding a new period. The Ordovician period began 485 mya and marked the appearance of the first true vertebrates: fishes. There were numerous shelled creatures, molluscs and arthropods, similar to today’s snails, spiders and shrimps in the ocean; only much smaller in size. There were starfish, sponges, corals, and other filter-feeders drifting about in the slowly warming waters. On land, primitive plants had slowly albeit surely started to grow. However, there was a complication. Soil as we know it did not exist in the Ordovician. Soil is a combination of minerals and mostly decomposed organic matter. And 465 mya, the top layer would just have been bare rock or sand, incapable of supporting life. Fungi, algae, moss and lichens started to grow on land anyway, being small tiny plants that clawed their way into the rock and sand, trying to hold on. Most common plants were lichens, found on dry desert land even today. When burrowing animals started to come along, soil became more fertile. Ordovician burrowers were worms and mites, squirming through the rock, loosening it up. But the burrowing by these tiny worms and plants, which had started to stick on the rocks, had unexpected consequences. At some point, the top layer of rock at multiple places eroded away into the sea, killing all life on it. Plants on land were photosynthetic, so the constant dying of these plants caused the carbon dioxide levels to come down. Dead life entering the water caused the carbon levels in the water to rise up, bringing down the oxygen content. 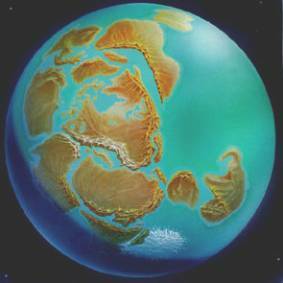 Meanwhile, the cratons left over from Rodinia and Pannotia had recombined to make smaller continents. South America, Australia, Antarctica, India and Africa had clumped together to form a large continent called Gondwanaland, named for the Gond people of central India. Gondwanaland was steadily drifting towards the South Pole, into the cold, dark nether regions of the planet. The slow cold, coupled with the decrease in carbon dioxide, brought about yet another ice age. Ice ages, like mass extinctions, have come and gone. Just like mass extinctions, there have been five great ice ages. Although the Big Five of each don’t coincide, every ice age is almost always accompanied by a mass extinction. In this case, the third of the Big Five ice ages coincided with the first of the Big Five mass extinctions. The onset of the Andean-Saharan glaciation set about chain of events that brought about the Ordovician-Silurian mass extinction. Ice ages cause changes in sea level, large scale fluctuations in climate, and eventual volcanism which eventually contributes to the negative feedback loop. The volcanism and change in sea levels, however, release toxic gases into the atmosphere which can then cause anoxia (lack of oxygen) in the oceans and the atmosphere, which forms a further positive feedback loop for mass extinctions to continue. This mass extinction killed over 40% of life on land and nearly 85% of life in water. Apart from the soil erosion and glaciation, there is another hypothesis that scientist suspect could have caused the mass extinction: a gamma ray burst. Gamma ray bursts are highly powerful, unpredictable flashes of energy observed in distant galaxies. They are the most energetic way in which electromagnetic radiation can be unleashed in the universe. They billow forth as jet streams when a dying star collapses, sometimes into a black hole. 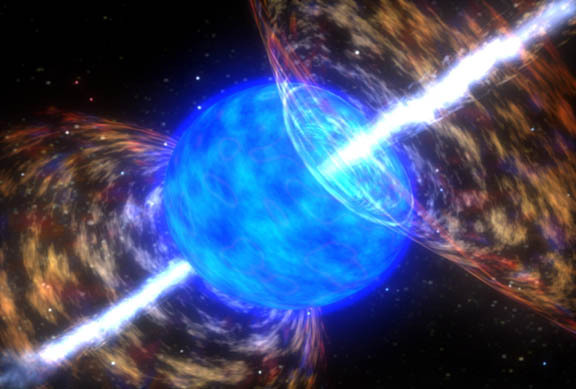 In less than two seconds, a gamma ray burst can give off as much energy as the Sun would in ten billion years. Ten billion. Exposure to a single gamma ray burst in its direct path could completely destroy our planet physically, breaking it up. A gamma ray passing by Earth could chemically damage the atmosphere and strip the planet of all ozone. And it could practically kill off all life on Earth today, which is exactly what happened in the Ordovician-Silurian mass extinction, the second worst mass extinction the world has ever seen. The next instalment will talk about the evolution of plants, further evolution of animals, first few mountains on the planet, five mass extinctions including the next big one, and the formation of the last big supercontinent. Sandhya Ramesh is a science writer focusing on astronomy and earth science.